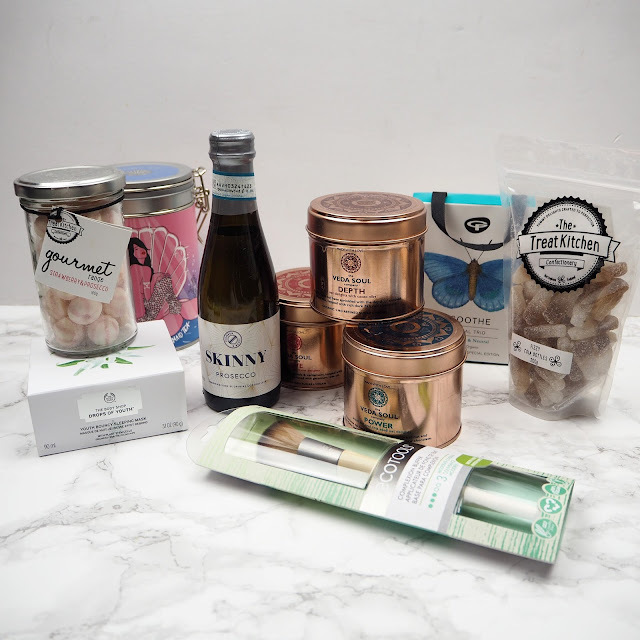 I'm back with Part Two in my Gift Guide series, and today's post is all about the Little Luxuries you can treat your friends and family to! Most things mentioned in this post are above the £15 mark, some, a lot higher, some just a little higher. There will be a couple of products that come under the £15 mark, but I still felt like these were classed as Luxury Items, so included them in this guide! Remember, if you were looking to spend a little less, check out my Stocking Fillers Guide for gifts £10 and under! I've been getting loads of lovely comments and messages that I've been giving you guys lots of present inspo, so please keep those messages coming, cause I love reading them! I've been wanting to write this post for a while now but ironically, I've not had the time! But nevertheless, Winter is officially upon us (insert Game of Thrones gif featuring John Snow covered in, well, snow...) The days are getting shorter, the evenings darker, and the nights colder. It's easy to just want to cuddle up into a little ball and hide away from it all. But it's SO important to take some time off to de-stress and relax. I was kindly sent a wellness hamper from the lovely team at Jet 2, so I thought I'd show you what I received whilst giving you some tips on how to look after numero uno. Sound good? Good. Hope you're all feeling fabulous as ever! 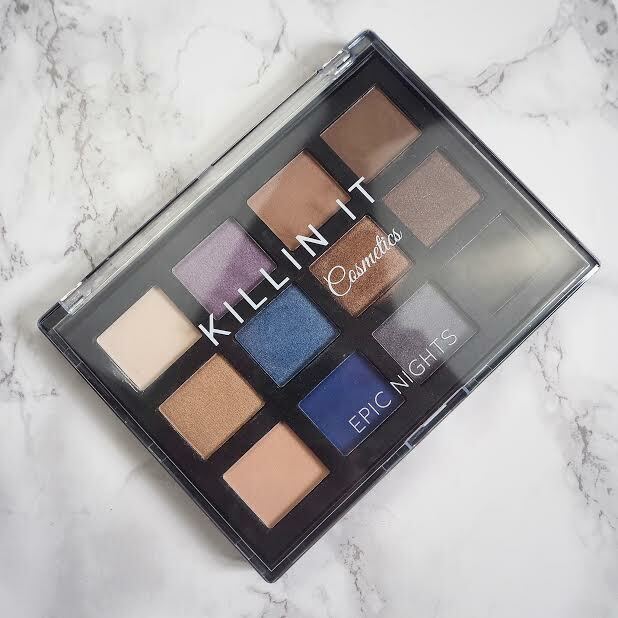 I'm back with a post on the cult American beauty brand that's taken the UK by storm ever since they finally answered our prayers and started shipping to our side of the pond. 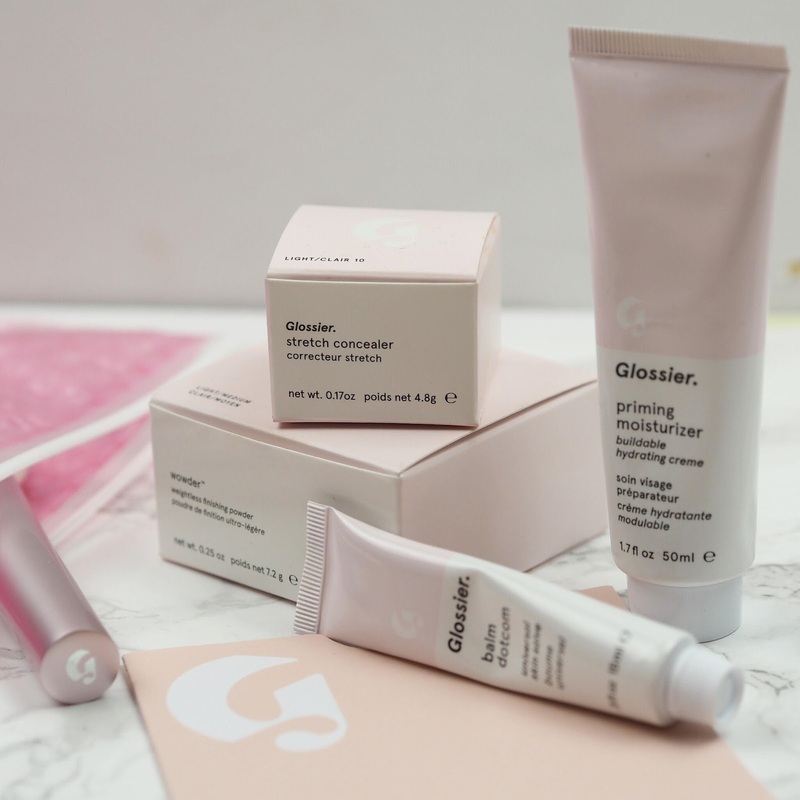 I'm talking about Glossier of course. (I mean it was in the title, so you probably already guessed that..) If you've been living under a rock and haven't heard of Glossier, or you just hadn't got round to placing an order yet, stay tuned, cause ya gal's gonna share her favourite products with you! 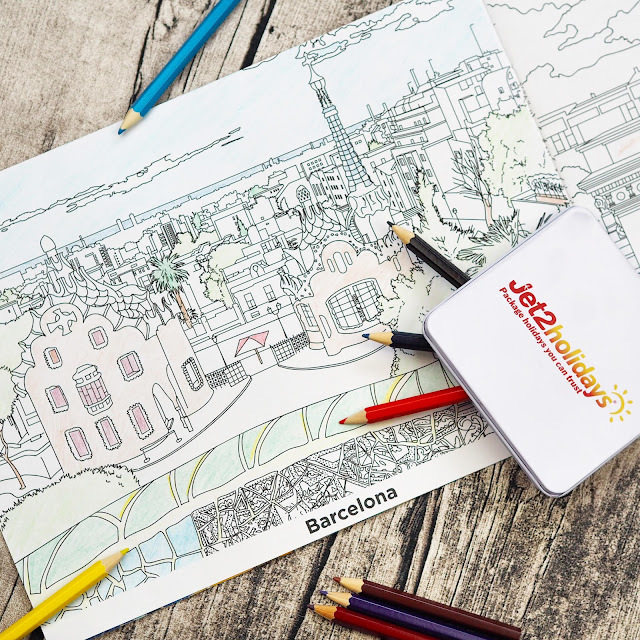 There's also a cheeky discount code too! I love an Outfit of the Day post as much as the next girl, but I rarely do them. Why? I've been asking myself the same question and I've yet to find an answer! I'm consciously going to make an effort now to create more fashion content for both my Instagram and my blog, so hopefully you'll see some more of that very soon! Today's post is a fashion-themed one (yay me) and contains a couple of gorgeous pieces from UKSwimwear that I wore during my recent trip to the Algarve in Portugal! Is there something interesting on the floor hun? I thought I'd talk to you about something I'm sure you've all been dying to know: my shower routine. I wish I could say that my shower and hair washing routine is as glamorous and effortless as the adverts you see on television. Sadly it's just not the case though - What with all the rogue shampoo droplets that make a b-line for my poor, poor eyeballs - as I'm far too clumsy/lazy/easily distracted for that. Nope, mine consists of a lot more procrastinating and singing for starters! 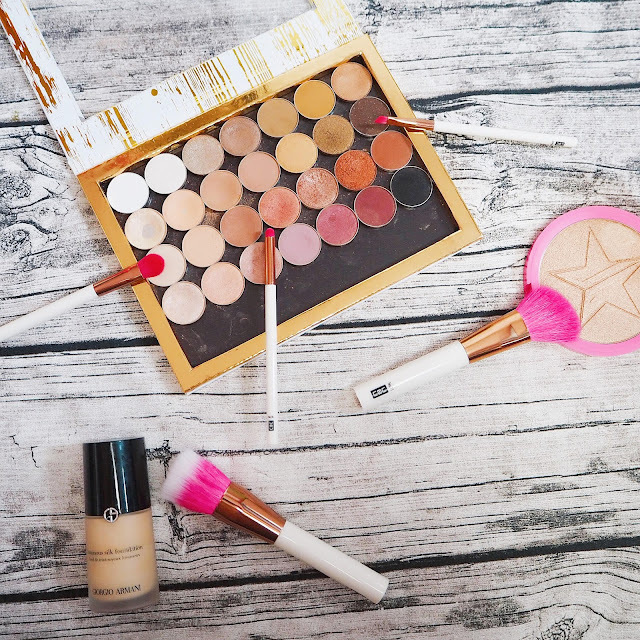 But more on that later; first I'll talk you through a few products I've been loving recently! We need to discuss a burger I ate a couple of weeks ago, because quite frankly, I've not been able to get it out of my head! I was invited for a meal at Leicester's newest burger joint, Boo Burger by the lovely people at Spottydog Communications. Situated on London Road, about a ten minute uphill walk from the train station, you might be wondering if it's worth the effort? Abso-friggin-lutely. Started up by two brothers with a love for burgers, you can see that their passions have been passed down to the whole team at Boo, as everyone we spoke to was so upbeat and friendly. They have an open kitchen too, so you can keep a watchful eye on your beloved burger as it's being made. (Although not for long, service is fast!) The menu is fairly simple, in that there are only 6 burgers to choose from, but they do everything on it so well that I'm not mad in the slightest. I’ve been wanting to write a music related post for a while now, a desert island ditties, if you will; and it’s finally reached a point where I have so many songs floating round my head that I need to share them with you before my head does indeed explode. You’ll need to have a killer sound system when you’re listening to some of these; great music is nothing without a good set of speakers! The Panasonic Multi Room Speakers are a fab option, as they're wireless and come in a range of sleek designs so blend in easily with your decor. Then all you need is a great CD, your smartphone, or perhaps you can just use this little playlist I've put together! So without further ado (and rambling, cause let’s be real, your girl knows how to talk) here are all my favourite songs right now, and a little bit about why I love each one. Apologies for being a little MIA lately, I've been working full time at Next HQ and trying to get into a good fitness regime, and have a social life, (I know, calm down Izzy) and I swear there just aren't enough hours in the day to fit everything in! If you're one of those people that manages to get their butts out of bed early enough to squeeze in a gym sesh/exercise class before work then I COMMEND YOU!! 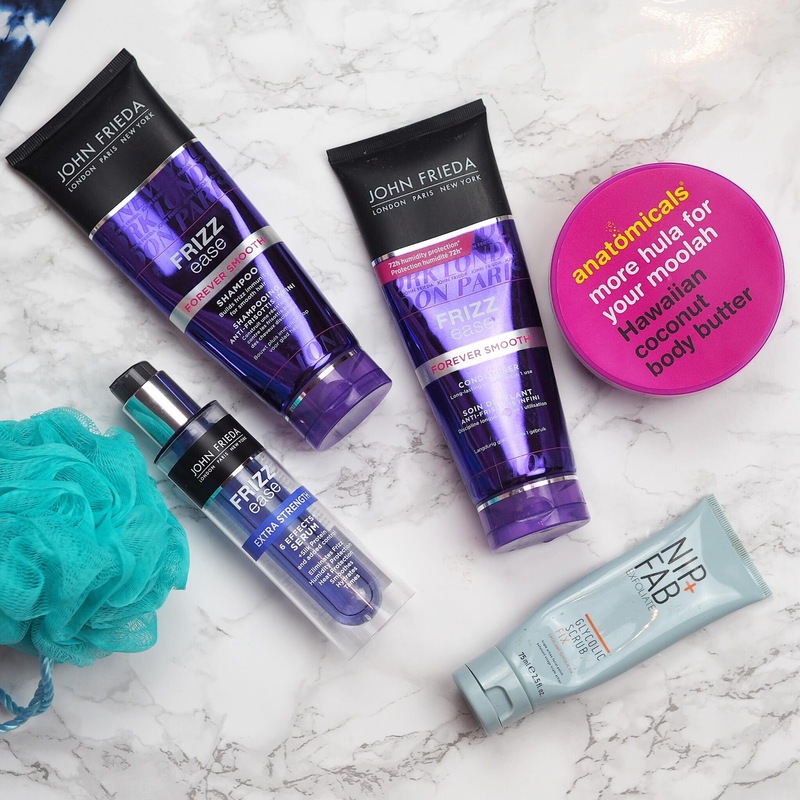 The lovely people over at Paul Mitchell recently reached out to me to ask if I wanted test out their Neon range ahead of its launch this month. (To which I obviously said a big fat yes). What's even cooler is that Neon has teamed up with The Diana Award's charity Stand Up To Bullying to encourage and support young people that wish to counter-act bullying. 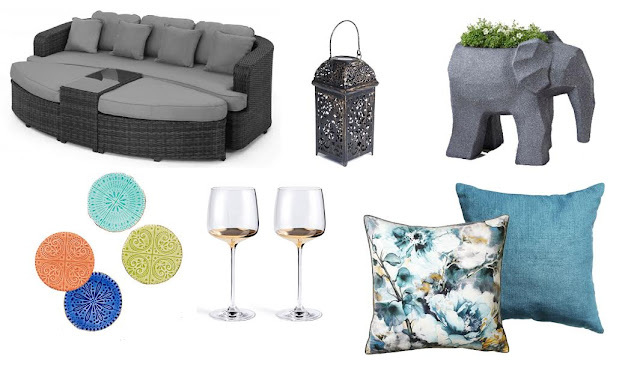 As you all know summer is finally upon us, (yes yes it took its sweet old time but we do live in England) and with each season I love to change up the decor in my house and garden by getting a few jazzy new pieces. I've teamed up with Fishpools to put together my summer garden wishlist, which was so much fun with my imaginary, unlimited budget! I've scoured the web for my favourite pieces, so I hope this post gives you some #GardenInspo! Hello my beautiful internet friends! How are we all? Good? I certainly hope so. I decided to do this impromptu little post, because quite frankly I thought it was about time I did another giveaway. 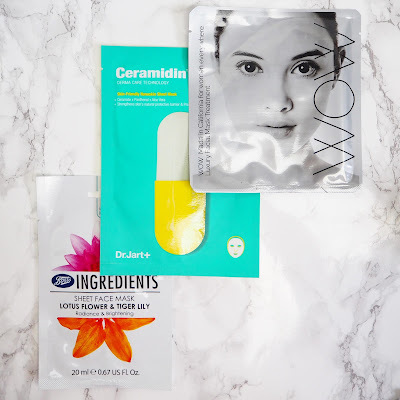 I've been gathering up some of my favourite drugstore products for a while now ready for when I hit 2K on Twitter, and then suddenly I jumped up to 2250 followers, and I'm wondering where the time went! Mask it Up! | My Fave Face Masks For All Your Skincare Woes. 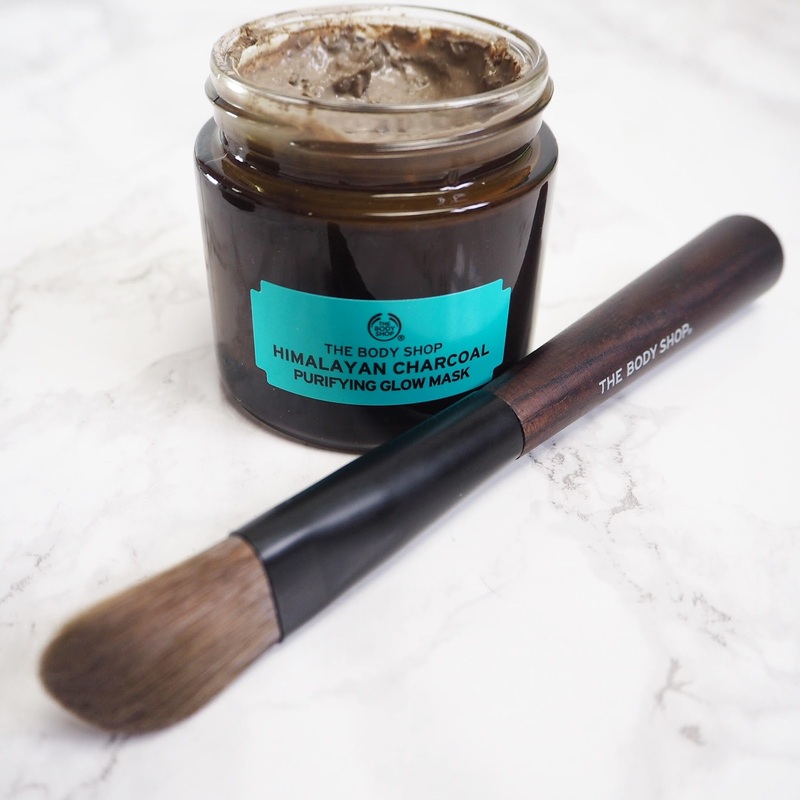 I don't know about you guys but as much as I try to stick to a regimented skincare regime, I still regularly have those "I can't be arsed" moments where I just want to grab a make-up wipe and ditch the cleanse (and the second cleanse, and the tone, and the - oh you get my point!) There is one thing I will always make time for however, and that is a good ol' fashioned face mask. I try to use a mask 1-2 times a week, and depending on my skin emergency at that exact moment, I'll pick one from my ever-growing collection! I've put together a list of my favourite ones, that each treat a different skincare problem you may be dealing with, so I really hope this comes in useful! Firstly, how sleek is this packaging? I'm really loving The Body Shop's branding at the moment. I was kindly sent this to review - which FYI I was ecstatic about as it was already on my shopping list - and I've been loving how much of a deep clean it gives my pores! I've since been back and bought more masks from their new line cause I'm so in love! I like using the Facial Mask Brush* with it to get a nicely even application too. It's totally Vegan which is amazing, completely free of parabens, silicone and other nasties, oh and it smells incredible. It's perfect for when your skin is looking a bit lacklustre and you want to get your glow back. Cause who doesn't love a glow?! It's also a two in one product as it works as an exfoliator when you scrub it off your face. Bonus! No I did not get the 'sheet masks are over' memo as my love for them is still going strong. They're fab for so many reasons; they require no effort, there's no goo to wash off your hands or face once you're done, and they are perfect for travel! (As they don't count as one of your precious liquids.) I love bringing a couple of these along when I'm flying long haul cause my skin gets so dehydrated from the recycled air and these really do give it the boost it needs! The only downside to them is that they make you look a teensy bit like a serial killer. (Jokes aside though does anyone actually look normal in these?) 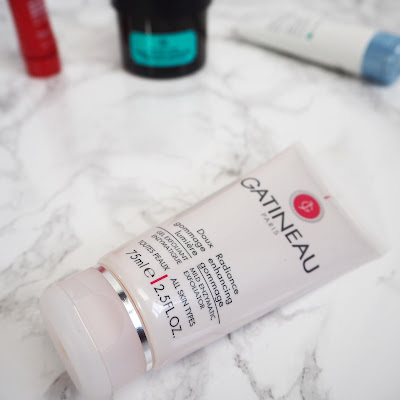 I've picked my three current favourites, that all replenish hydration and boost your glow, so whatever your price range, I've got you covered . Before you all start on me; yes I know it's not technically a mask, but this product from Gatineau is a fab treatment nonetheless. It's a chemical exfoliant with the key ingredients of AHA and Activated Vitamin C which both encourage cell turnover and regeneration - which in English means that it helps get remove your old skin cells and bring your sparkly new ones to the surface! 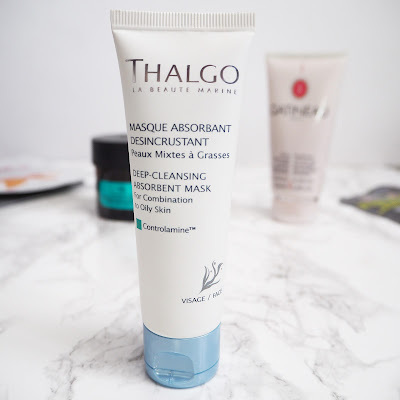 - This is one of my favourite products for fading acne scarring and hyperpigmentation and I've definitely seen a huge difference in my general skin tone since using this over the past few months. I usually leave it on for a good 5-10 minutes, to allow it to soak in and work its magic, rinse off, and then follow up with a moisturiser. Plus it's got that delicious orange jelly smell! 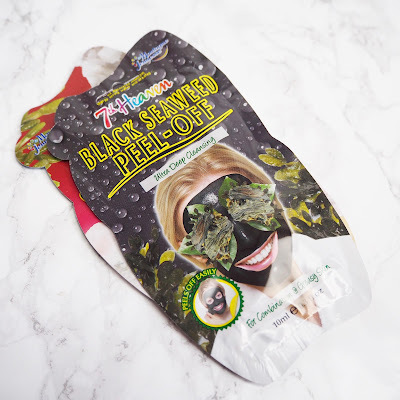 Remember those fun little face mask sachets that you used to take with you to girlie sleepovers? They were probably by the brand Montagne Jeunesse, which has since undergone a little revamp and are now back under the name 7th Heaven. They've kept their funky eye-catching packaging, and their price point is still so affordable considering how great the quality of these are. Everything from the range is also cruelty free and PETA certfied, with a few of the masks (including this one) actually being Vegan too! I love so many of the masks from this line, but for the sake of this post not being 5 years long I've just chosen the Black Seaweed mask. It's great for you oilier-skinned guys and gals too as it takes away the excess sebum. There's just something so satisfying about peeling it off and seeing all your impurities go away with it! Last but certainly not least is this gorgeous mask from Thalgo. 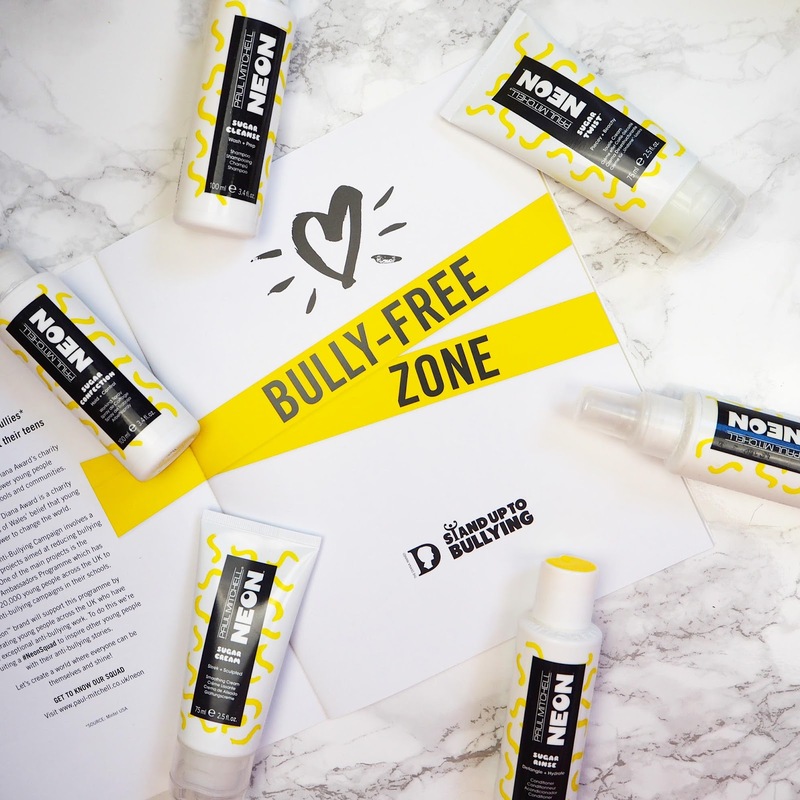 It's from their 'Control' range so targets irritated and acne prone skin. It has anti-comedonic properties so helps to prevent pores getting clogged (which is one of the main causes of acne) and the Pam extract helps to reduce redness and calm the skin. I love the whole focus of the brand, as it's about harnessing the benefits of the sea, and they only use the gentlest and purest ingredients, which is fab for my sensitive skin! 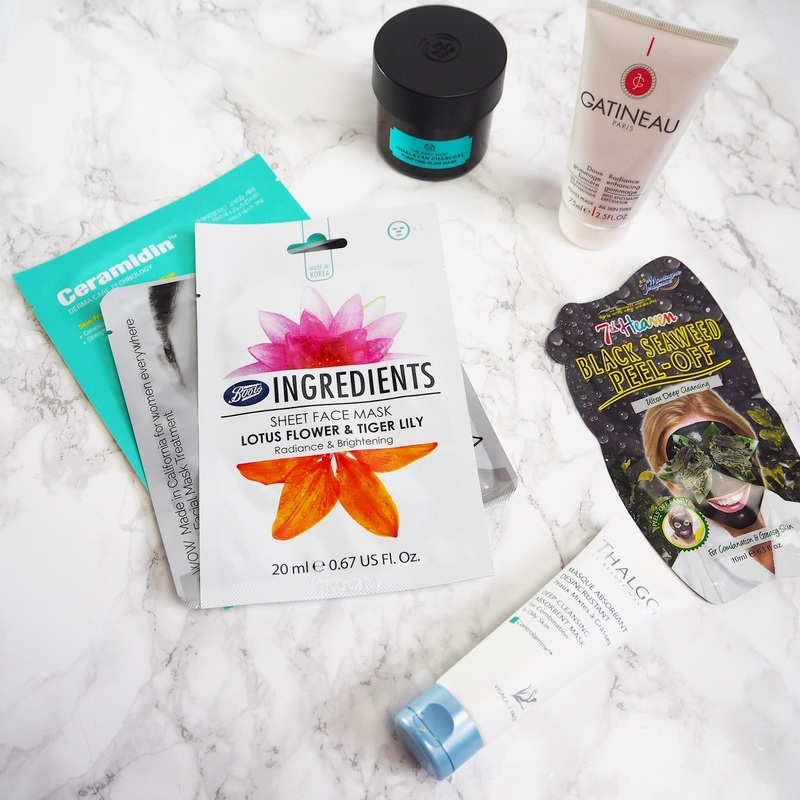 Leave me a comment below telling me what one of your favourite masks is and maybe I'll try it out! 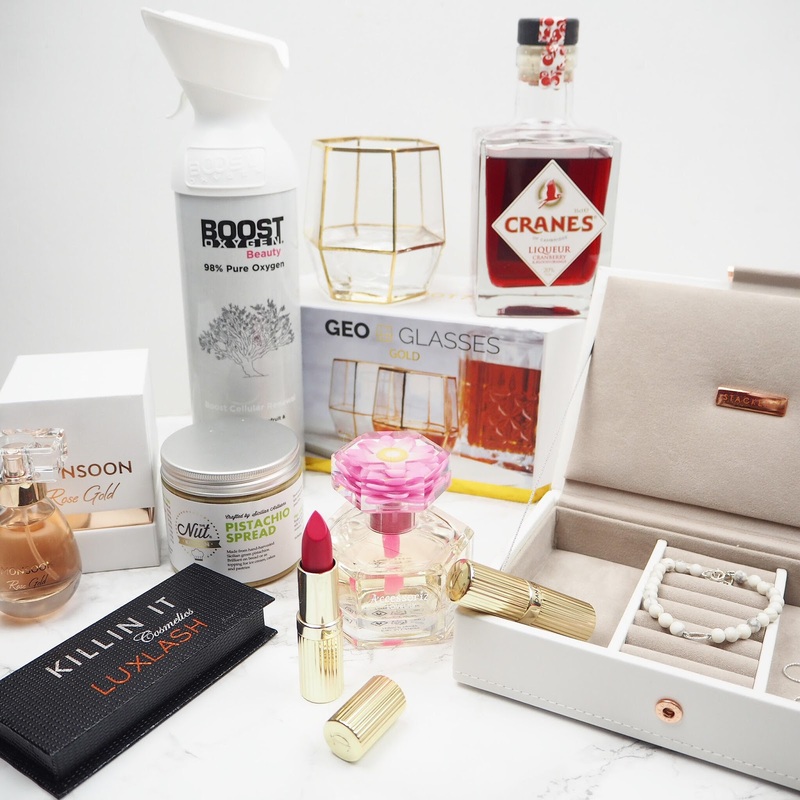 I'm back with a one of my Lust Lists, and it's a bit of a random, impromptu post, that came to me a couple of days ago in Delilah whilst I sipped a soy Flat White (yes slightly excessive detail, I know I know). I quite frankly want EVERYTHING right now and so I'm hoping to curb the shopping addiction by writing about it, rather than buying it all. We'll see how successful I am. Now I'm going to try and keep the rose appliqué-laden items to a minimum cause I'm well aware they're on everybody's wishlist this month. But yes. So if you follow me on YouTube or Instagram, (if not then, what you playing at girl?!) 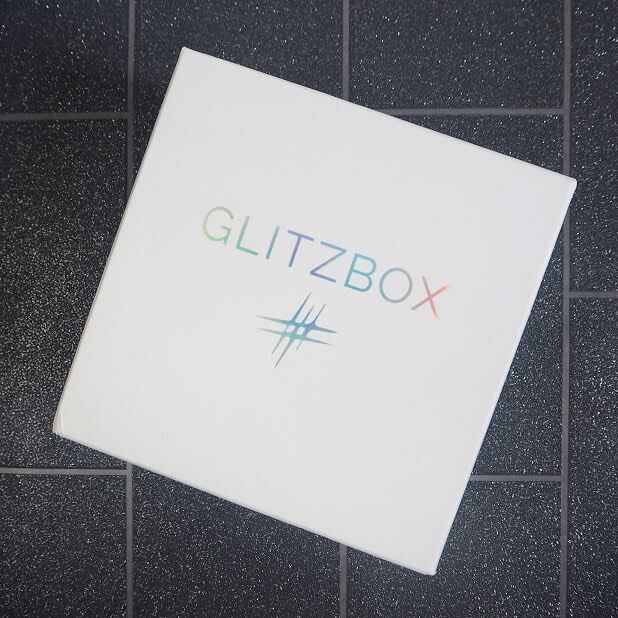 you may have seen me talk a little about GLITZBOX. 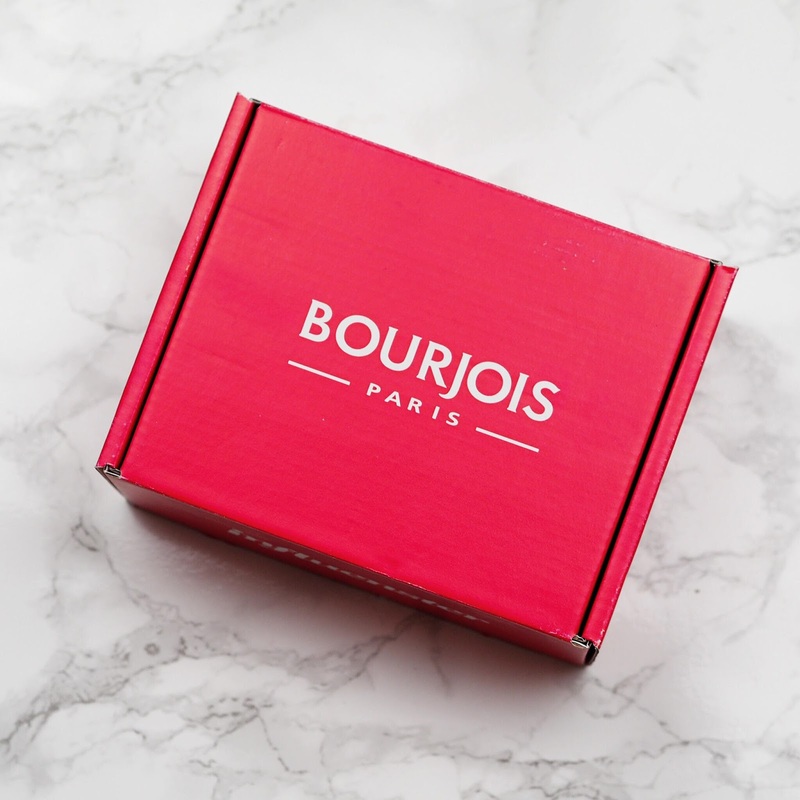 It’s a jewellery rental subscription service, where you pay between £39 to £59 a month and receive three carefully selected items of beautiful gold or silver jewellery. You wear these items for the whole month and then have the option to send them back, OR buy them, at a discounted price. Along with the jewellery you also receive Glitz Credit, which you can use towards one of your purchases. I’ve teamed up with GLITZBOX to show you what’s inside my box this month, you're gonna love it! P.S. What do you think of the glittery flooring? I felt like it fitted perfectly with all this Glitz talk! A few of weeks ago a pretty exciting (ok very exciting) email landed in my inbox inviting me to a fitness event at UNiDAYS HQ in Nottingham. Naturally when I spotted the word UNiDAYS I was immediately intrigued, with them being the number one student discount provider in the country and because they single-handedly saved me zillions - yes zillions - of pounds in my student years. The event was a collaboration with Results With Lucy, as a way to celebrate that RWL now has 25% off all fitness programmes for students with a UNiDAYS account. Click here to get your juicy discount. 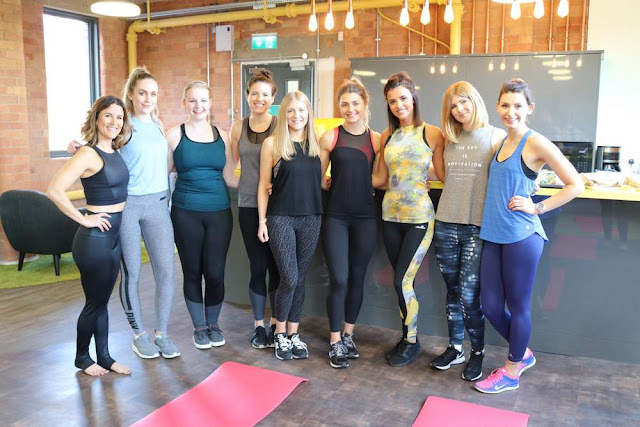 So myself and a few other lucky bloggers donned our sassiest gym gear for a workout and nutrition talk, followed by a cute luncheon. Since it was Valentines Day last week and there's still some love in the air I thought it might be nice to do a post on self love. You know, that "You do you girlfriend" (complete with sassy head bob) kinda stuff. Whether you're single AF like myself, or you're in a relationship, it's still important to have a little "me" time; so I've put together a list of things I like to do to show my body and mind some love! I really wanted to write this fun post, as a little congratulations from me to me! I've been an admirer of Nouveau Lashes for quite a while now so was absolutely ecstatic when they asked me to join their #LashGang. 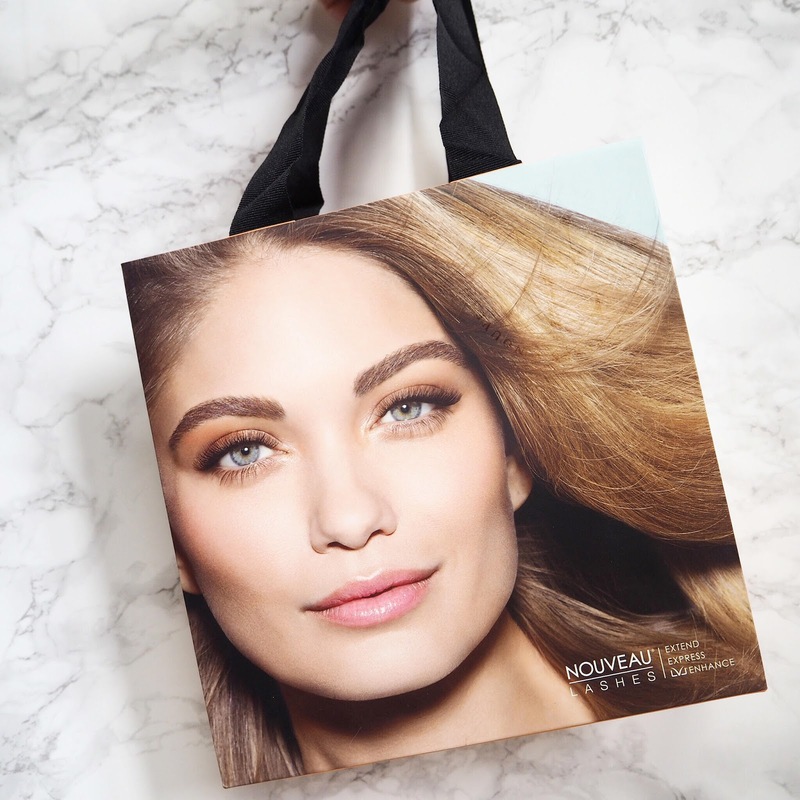 Nouveau are an amazing brand that specialise in a variety of lash services and products, plus they've created a really friendly, supportive online community that I'm so happy to be a part of! I've been meaning to do some travel posts for a while, but then it got really cold and really miserable here in the UK so I just wasn't feeling that inspired, buuuuuut I'm back! I just got home from the most amazing trip to Berlin and Bucharest, which I will most definitely be writing about, but for now I'm here to talk to you about Denmark's beautiful capital, Copenhagen. Mine and Hemma's trip was a pretty spontaneous one - £36 for return flights on Skyscanner, go figure - but we still managed to get a little research in and ask some family friends for tips before we went! 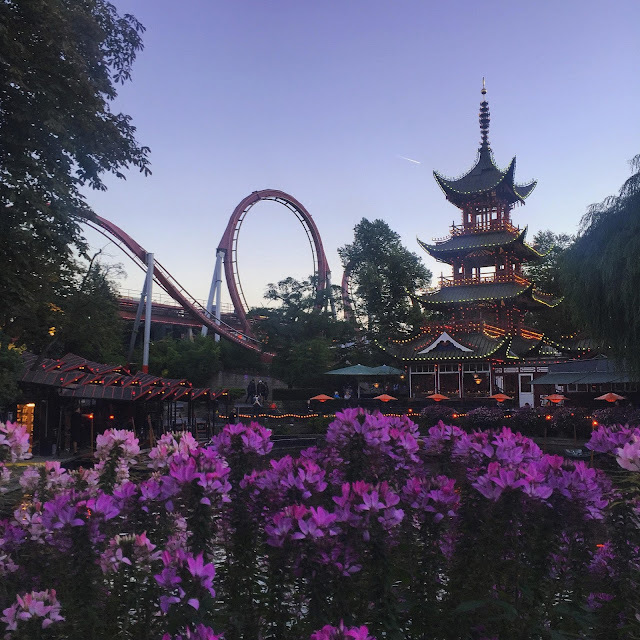 I've put together a list of all my favourite things to do if you're planning on visiting any time soon, and best of all, pretty much everything I've listed is mega affordable - because Copenhagen? I love you but you espeeeeeensive. 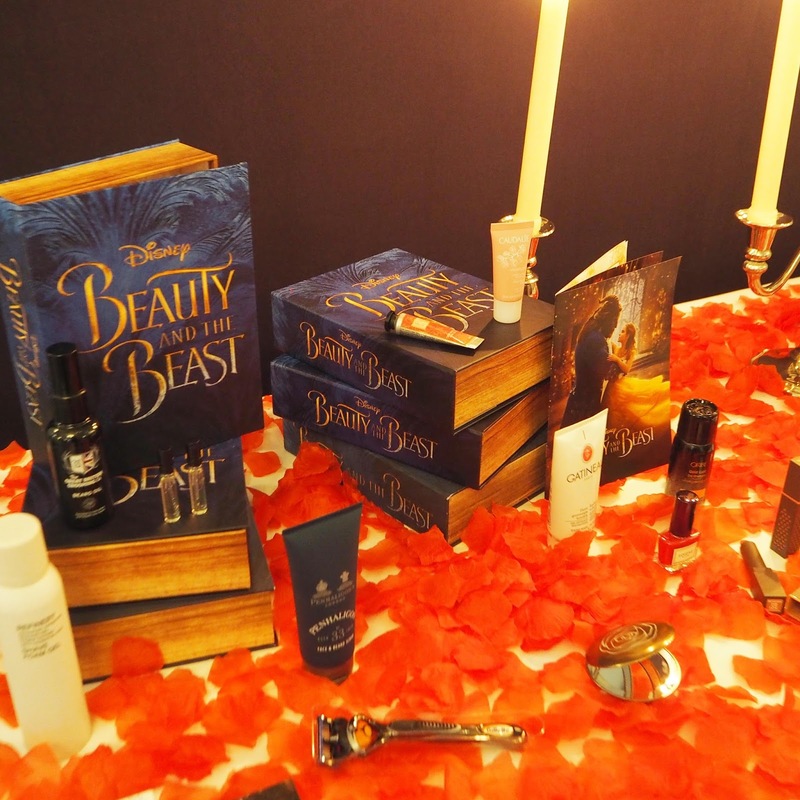 Marks & Spencers Beauty Calendar | Best Bits! So we're two weeks into January now; anyone else already broke one of their New Years Resolutions? (Jokes, I didn't even make any, I have that little self confidence...) One thing I am attempting this year however is YouTube. Yep you heard it right people, Izzy is on the tube. As you guys may or may not have gathered from my overuse of italics and brackets, I love a good ramble, and so it just made complete sense to me to start making videos! My first one is up and it's a fun little Get to Know Me tag <3 I'd love it if you could subscribe, and please feel free to give suggestions for videos too! 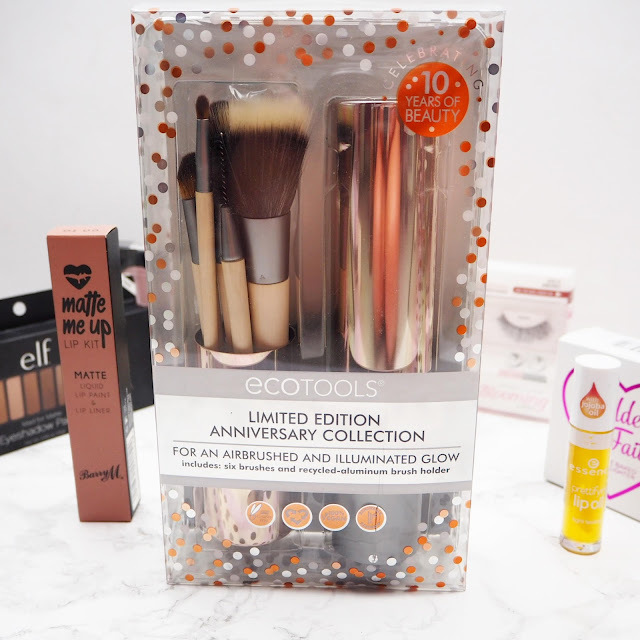 My Marks and Spencers Beauty Calendar has been sitting on my window-ledge staring at me this past week or so, and there are several products from it that I keep on reaching for, so I decided to do a little round up of my favourite bits!